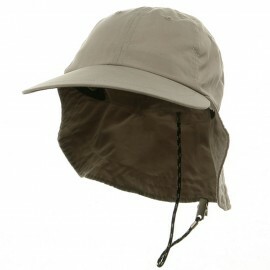 Crown measures 4 inches deep, unstructured, 6 panels with chin string. Bill measures 4 inches long and 7 1/2 inches wide, same color under bill. Back flap measures 4 inches long. Light, thin, soft, cool and packable material. UV 50+ excellent sun protection. Available in grey, khaki and olive. Just what I needed to protect my face and espically my ears. 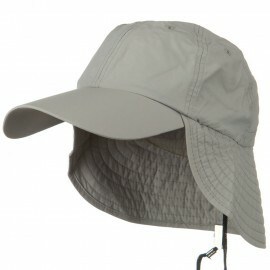 Looking for baseball cap with maximum sun protection for your summer outings?! 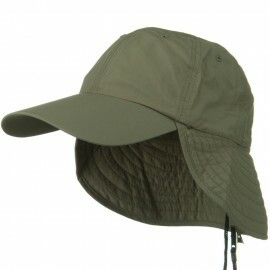 Our Khaki UV 50+ Outdoor Talson UV Flap Cap is just for you. Featuring long pre curved bill, this is UV cap that provides you excellent UV sun protection that blocks harmful sun rays for your head. 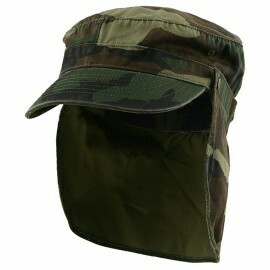 For more of sun protection and coverage, back of cap features back flap to cover your neck from hot sun. Also, 6 small air vents on each panel of cap provides your head with ample circulation and ventilation during your summer activities. 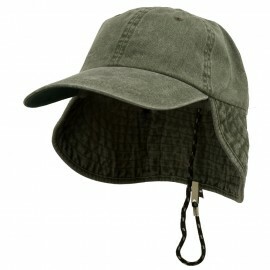 Back of the cap is fitted with inner adjustable string for secure and perfect fit you want. Lightweight and easy to pack with this crushable and flexible material, cap is easy to carry around. 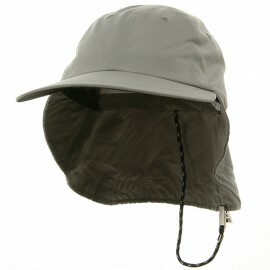 You will be well guarded from the sun and its rays in this awesome UV flap cap.